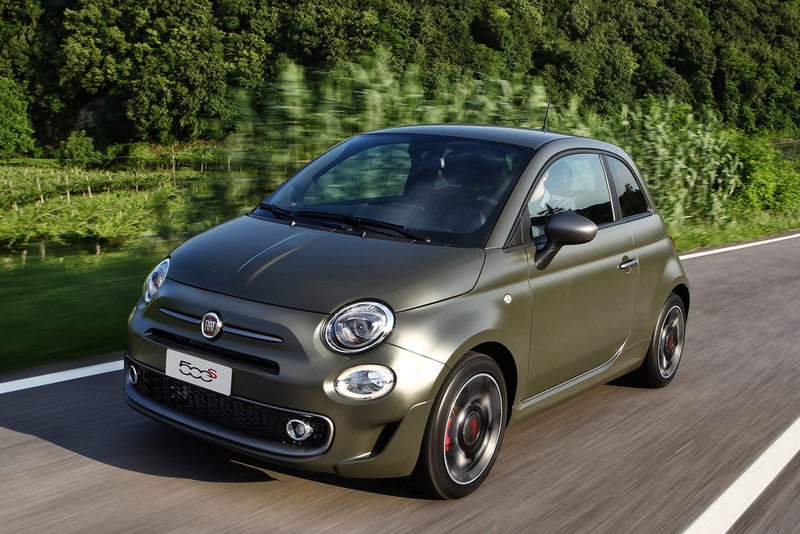 Fiat has revealed a new 500S edition - available to order now. The sportier package restyles the 500 with new sports bumpers front and rear, special side skirts and a rear spoiler. The door handles, tailgate, mirror fairings and standard-fit 15-inch alloy wheels are all finished in exclusive “Satin Graphite”. 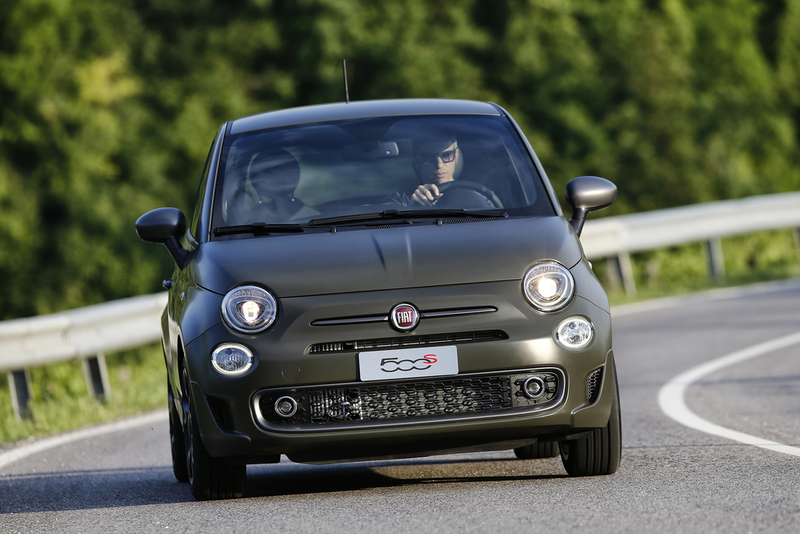 The 500S is also equipped with front fog lamps, tinted rear windows, a chrome-finish tailpipe, black-grained front air intakes and honeycomb grille. Optional 16-inch alloy wheels with a matt-black diamond treatment are also new to the range while the colour palette has grown to include Electronica Blue metallic and Marching Green matte. Inside, black sport seats and a black roof lining contrasts with door panels and seat edges finished in blue, white or yellow. Satin Graphite detailing also features on the dashboard fascia and the special sports steering wheel, while the interior can also be trimmed in optional Frau leather with white or light blue details. A full-colour, seven-inch TFT instrument display is standard on the new 500S, which includes Uconnect LIVE services, Bluetooth hands-free phone calling, voice recognition and a multitude of entertainment options. Additionally the 500S Convertible adds an electric canvas roof with a heated glass rear window. With seven airbags as standard equipment, including a driver’s side knee bag, as well as ABS with EBD (Electronic Brake Distribution) a ‘sophisticated ESC’ (Electronic Stability Control) system with ASR (Anti Slip Regulation), joins Hill Holder and HBA (Hydraulic Brake Assistance) to assist in emergency braking. Four engine choices are available including a 69hp 1.2-litre petrol and a 85hp 0.9 TwinAir petrol - both available with a five-speed manual or optional five-speed Dualogic automated manual transmission. The 105hp 0.9 TwinAir petrol is fitted with a 6-speed manual as standard. A 95hp 1.3 litre MultiJet II diesel engine reduces emissions to 89 grams of CO2 per kilometre and offers an official combined-cycle fuel efficiency figure of 83.1mpg. Prices for the 500S start from £12,950 OTR when powered by the 1.2-litre 69hp petrol engine. The 85hp TwinAir version is priced from £14,250 OTR while the TwinAir 105hp comes in at£14,730 OTR. The Fiat 500S 1.3 MultiJet II 95hp is priced from £15,350 OTR.